All you bloggers should go to twitter! I don’t understand why there are bloggers who just don’t use twitter at all! Apparently they have other means to share their blog content such as Facebook, Emails, Instant Messengers, Google+, Linkedin, Forums, etc., but if they are on all of those, why are they NOT on Twitter?! I may sound biased because personally I’m quite a twitter fan, but there are always a bunch of reasons why so. First of all, I completely prefer Twitter to Facebook! The thing about Facebook is that if you have 1,000 “friends” reading your updates you also have to read updates from those 1,000 people plus all the news from the pages you “like” and the groups that you are a member of. Overwhelming information – you may think? However, in fact, you never see all the updates from those 1,000 friends but just from a few of them. It’s because Facebook has their edgerank system, which means your updates also only appear to a certain percentage of people. Good news is you don’t have to read all the updates but bad news is your updates are also not all read. Meanwhile, with Twitter, if you have 1,000 followers you don’t have to “suffer” from all of them because you can choose who you want to read news from by following them back or putting them into your lists and read from those lists. Updates on Twitter are less than 160 characters so they do not take up as much space as on facebook and very easy to follow. I even know a few people who only follow newspapers, magazines, news agencies and use Twitter as a mere info source. Secondly, I love Twitter because thanks to it I have met and become good friends with many interesting people who share the same interests. Many of them are travellers, bloggers, social media specialists, event organizers, musicians who appreciate the content I share on my blog about travelling, events, music, etc. Many of us were “strangers” before HanoiTweetUp but now I have met most of those I’m “following” in both Hanoi and Saigon and continue to have their close support for any content I write for both my blog and HanoiGrapevine. I guess it’s not a coincidence why referrers to my blog from Twitter doubles those from Facebook. Fourthly, I find Twitter much easier to interact than Facebook, Forums, Linkedin and the comment section on the blog itself. Not only because Facebook is blocked in Vietnam and is a pain whenever we try to sneak in but also because Twitter is much simpler, has less buttons than any other means of communications (reply -> 160 characters -> enter). Of course this may lead to a negative side that people tend to be chatty on Twitter and it may be annoying to their mutual followers, but well, there’s always an unfollow button to use so there’s nothing to worry about. 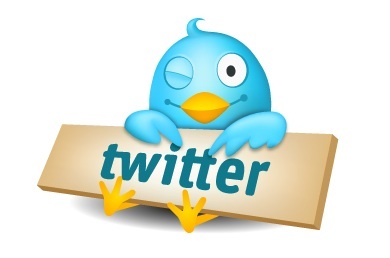 In conclusion, I can wholeheartedly say that Twitter is one of my favourite communication tools. It’s not only about content sharing but also about networking with people who share the same values and interests. Have you ever thought you’ll be able to find your best mates on Twitter? There’s high possibility it can happen to you just like it has happened to me. And for bloggers it’s specifically important to be able to interact with their readers and Twitter is obviously the fastest and easiest way. So you who blog and are not on twitter yet, what are you waiting for? Just sign up now, put up a short bio, a profile pic, a web link and start tweeting and sharing your content! Beware of addiction though! This entry was posted in Social Media and tagged Blog, Facebook, Twitter. This article is very interesting to me as it answers a lot of questions for me. Just yesterday I saw a tweet from a friend which goes: “I don’t know what is this (TT) for and I hardy use it!”. So after it, I, a Twitter fan, suddenly question why there are big TT fans like me (and you) and there are people who even don’t know what TT is for. I think the reason may start from the fact that Twitter is unpopular in Vietnam where many people thinks FB = social media. The FB storm came just too quickly and strongly after Yahoo! 360 that it eased out the power of other networks. Totally agree with you about the first advantage of TT, you don’t have to read tweets from all your followers, so you can choose what content you want to read. To me, it’s painfully tiring to read all the feeds from your friends on FB. The 160 – character limit is quite an advantage of TT I think. The message is short, easy to read and retweet. I myself find it an excellent way to chit-chat. Thanks for the comment. Actually, Linkedin is popular in Vietnam too. And we also have Zing. But to our generation I guess Facebook is still the biggest network. And I agree with you that “it’s painfully tiring to read all the feeds from your friends on FB” 😉 No offense but reading all the “news” about their breakfast, lunch and dinner might not be very exciting.. I encourage more people to blog whether they also want to Tweet or not. Because blogging is content creation and tweeting is usually just repeating what others say rather than original content. But about meeting interesting new people I can’t agree more. So I wish there were even more users of Twitter in Vietnam! Thanks for the comment, Tomo. Sure blogging is content creation. But after creating you need to share it to other people right? And I think twitter is a better mean than facebook, linkedin, G+ or instant messengers. I’m not comparing blogging with twitter, I’m just comparing twitter with other social tools ;-). I actually find Twitter kind of frustrating, both as a way of finding content and as a way of putting stuff out there. The unfiltered nature of it means that you are awash with posts where it is difficult to distinguish the useful and interesting from the noise (as it is on FB). One of the nice things about the long form of blogging is that you develop a deeper sense of where bloggers are coming from and what they are about, making it easier to figure out who to read and pay attention to (like this blog, from what I’ve read ;-). oh hey, thanks for the comment, but I guess you haven’t made full use of twitter yet. There are many ways to filter the unwanted “noise”. And I have to say I am not comparing blogging and twitter. They are too different to be compared.. In fact, in the beginning, twitter was also just a tool I used to publish the website content until I realized it was much more than that..